When we think Camino? Most of us think Europe and the Camino De Santiago, the pilgrimage to the Cathedral of Santiago de Compostela in Galicia in north-western Spain. But here in South Africa in the Western Cape we have seen this type of adventure taking place, unfortunately not religious but more personal soul searching. – The TANKWA CAMINO! I guess it’s a take on the “Great Trek”, through one of the starkest, amazingly beautiful landscapes in the Karoo. You should choose to take 10 days off and walk through this landscape in Africa, the heat and vast stark plains will amaze you, with every day ending in a sunset of gigantic proportions you will rush to make sure you never miss one. To tackle this trip, you have to walk 25km every day, which breaks down to 3.5km an hour, with a 1 hour break for lunch, really anyone can do that for 256Km over 10 days. Day 10. Rhodona to Ceres. The start is in Calvina, which takes you into the Tankwa valley/desert landscape with wide open spaces all the way to Ceres. To be prepared you will need some decent camping gear, the nights could be cool and a little windy sometimes despite the heat during the day (make sure you take good suntan lotion and a wide brimmed hat). A bit of cash for the one side road “Tankwa Padsal” and the fantasised Coke and burger. Bags and food containers are loaded into a truck and you get shouldered with a day pack to carry breakfast, lunch, drinks and water for the day. At the end of the day you are responsible for setting up your tent. Best of all is that dinner is cooked for you, so you can relax at the end of each day with your thoughts and friends you have made. 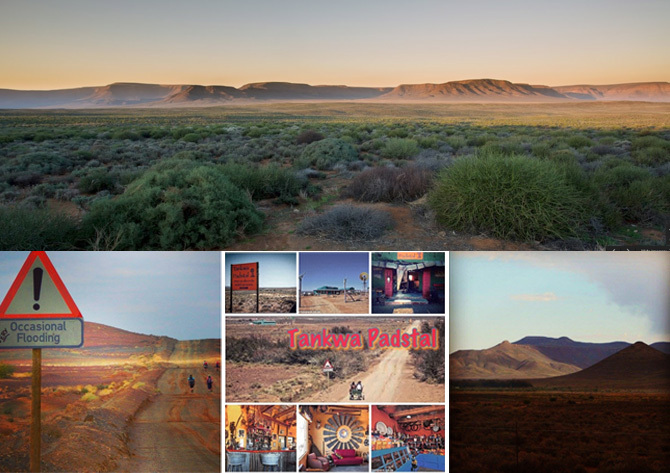 This adventure, run by Danie & Rhina Pieterse, coordinated and supported by an amazing team are just waiting for people who want to experience the peace and tranquillity of the Tankwa Karoo. Run during the months April to September. Be inspired by this quote from: – Melanie Van Zyl. If you are pondering on a future, or just need some peace and quiet, some soul searching, maybe it is time to book for the Tankwa Camino, South Africa. Let CABS Car Hire help get you from Cape Town to your destination.